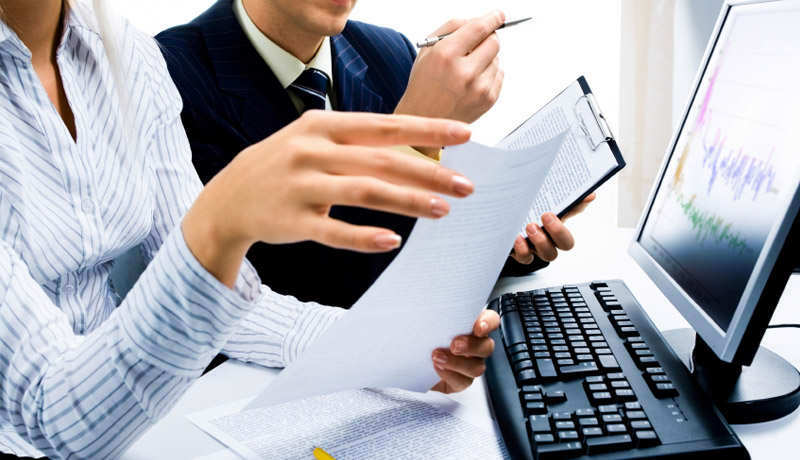 Payroll is specifically complex task for the companies, businesses as well as enterprises. Payroll management on time is crucial to ensure that the employees of the particular company engaged and focused on their work. It has to be timely, accurate and accountable. Maintaining precise Payroll processing would also make it simpler for the companies to manage auditing and tax time and maintaining clear cut records. It would have a good impact on the company’s reputation and image. · Lessen Security Threats- Managing Payroll process can often be a nightmare for companies as there are several security aspects involved. With increasing rates of frauds, financial embezzlements, and several other business crimes happening within organizations themselves, companies would be best placed to entrust their payroll data with professional companies in payroll processing as they have dedicated experts, infrastructure, security and storage measures in place to protect the clients’ data. · Removes the burden of extra Infrastructure – Managing and implementing payroll processing systems in companies can be draining on a company’s resources. Effective payroll systems require the procurement as well as maintenance of extensive infrastructure such as software, hardware, network capabilities and currently, cloud technology. These arrangements require consistent updates and maintenance. This may be problematic for businesses to invest in keeping in mind financial constraints. Outsourcing to an expert provider of payroll services removes this trouble. · Reduction in Staff required- Management of in-house payroll requires the recruitment & training of staff which can be quite costly. Outsourcing to a professional payroll processing service provider can help save these extra expenses and the maintenance challenges that come up with maintaining a committed in-house payroll processing management system. · Privacy- It can be quite embarrassing and damaging to morale of the company if the wrong eyes fall on the wrong payroll data. By outsourcing your payroll, complex and confidential payroll data are calculated off-site, so there is a chance of breach in secrecy. · Its Time Savings- Time is precious and companies are aware of this. Time wasted on non-critical yet bulky processes can be expensive and a significant distraction for organizations. As per a recent study conducted by an agency, in-house payroll processing contributes a great amount of time. This is inevitable as payroll management requires minute attention to complete payroll process and detail. Outsourcing could thus lead to significant cost and time savings for companies, enabling them to focus on strategic goals. · Support- You are aware of the fact that how time-consuming, complex and confusing payroll calculations can be. Outsourcing firms have the specialized training needed to maintain the payroll (large or small) more accurately and efficiently. Our team will get your payroll out on time while confirming that the company is complying with all payroll tax obligations. Outsourcing payroll services will negate all these possibilities of penalties since the specialized payroll agencies have foolproof security systems that thwart such risks.